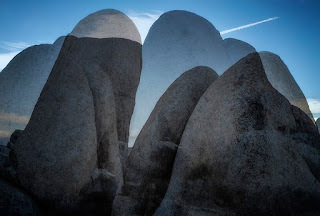 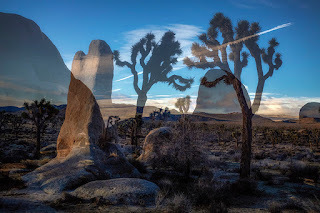 I'm always trying to see Joshua Tree National Park in a different and unique way, so the other morning I got up early and went over to a favorite spot in Hidden Valley where there are some great rock formations. I'd been thinking about this idea for a while and figured this was a good day to experiment. 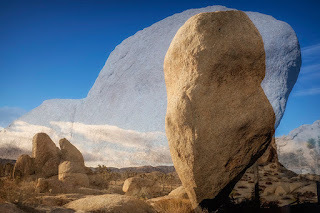 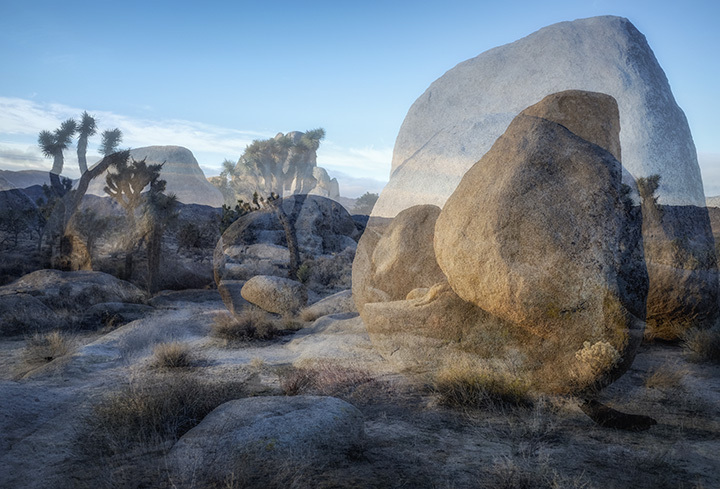 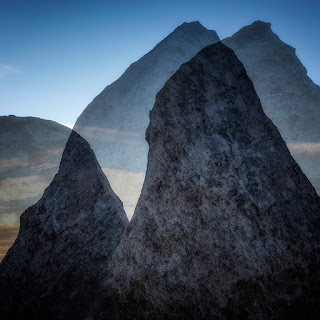 I spent the whole morning doing double exposures of the rocks and Joshua Trees there. 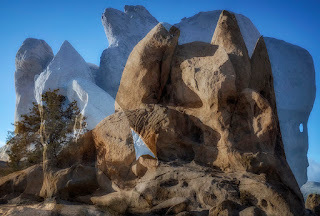 It's a real hit and miss technique sometimes, but I think I came up with some nice ones. There's Water at Surprise Tank Ma!